Hello, today’s recipe is an easy delicious dinner idea. 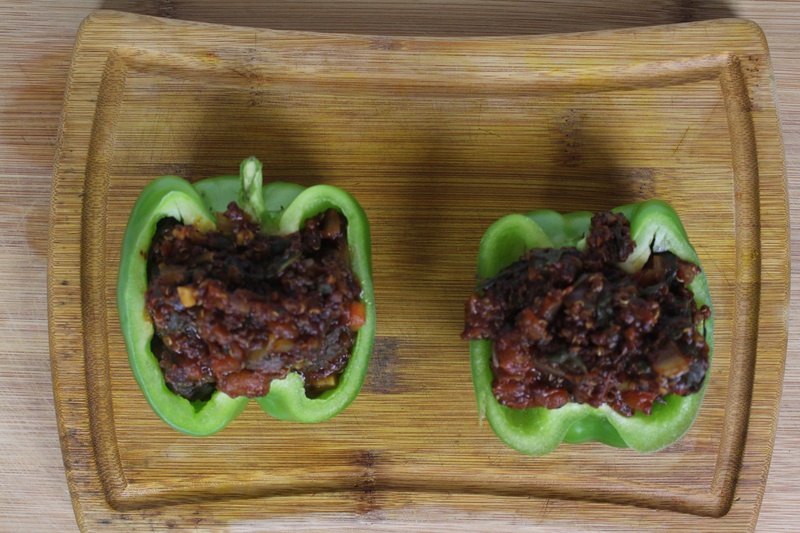 Green (or whatever colour you chose) bell peppers stuffed with a mixture of sauteed vegetables and red quinoa. Feel free to substitute any vegetables or add some more. 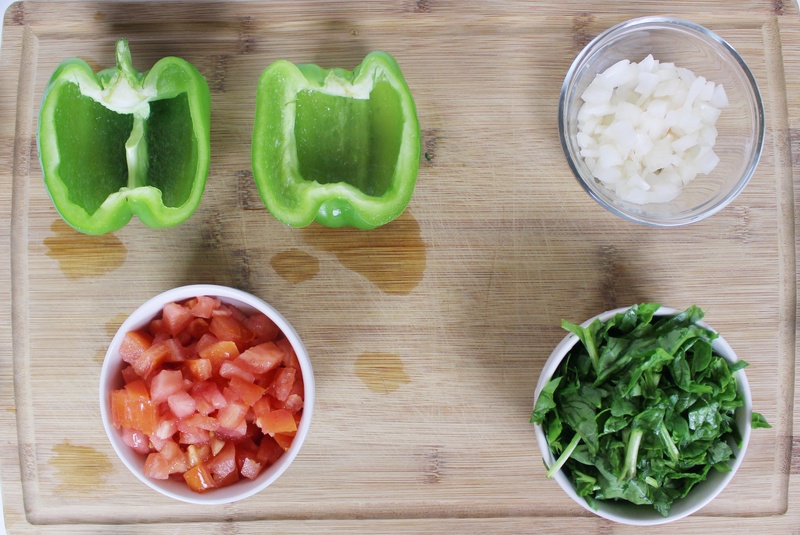 2) Cut the bell pepper(s) in half and remove the seeds. 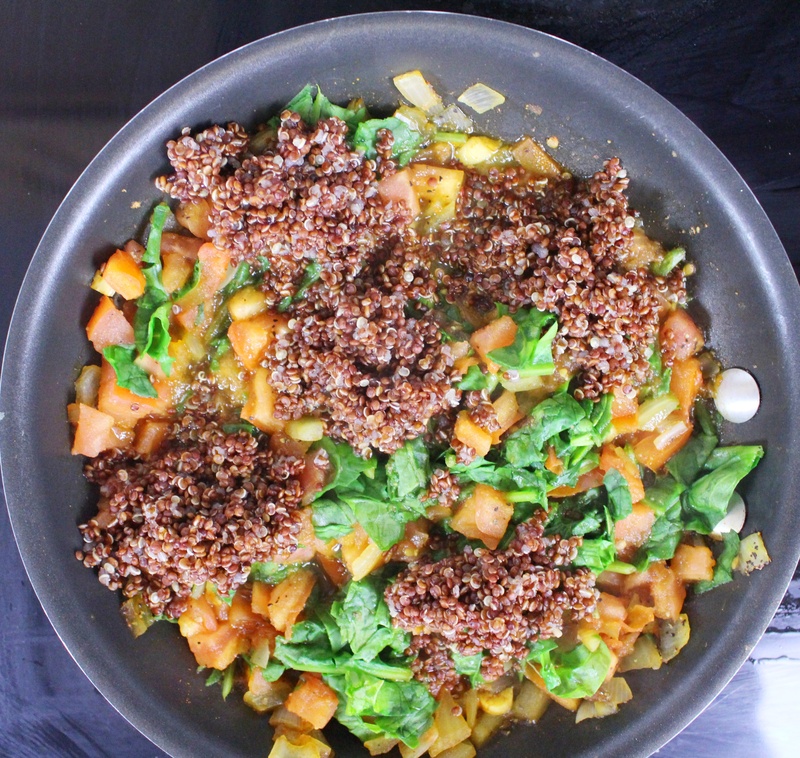 3) Bring 1 cup of water to a boil and add quinoa, cook until fluffy – alternately you can microwave the quinoa to cook it. 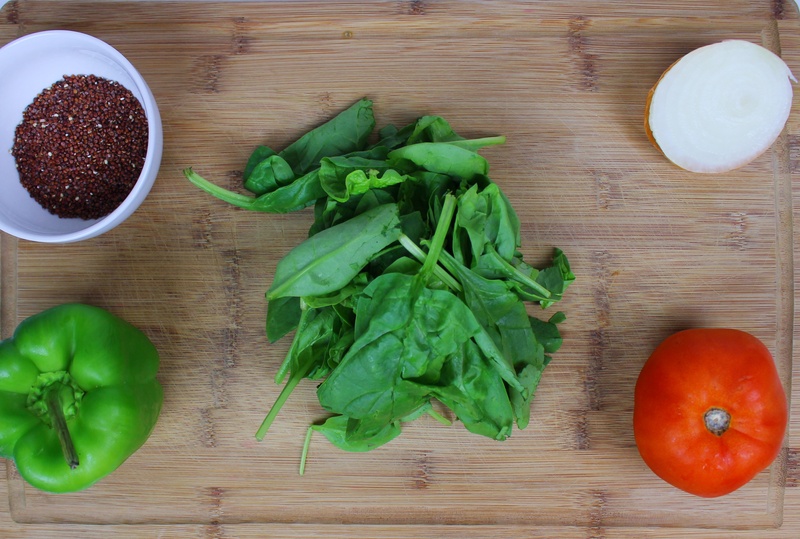 4) In a skillet over a medium heat sautee onions then add tomato and spinach. 5) Once the vegetables have cooked down add quinoa and spices of your choice and continue to sautee– I added cayenne pepper, black pepper and tumeric. 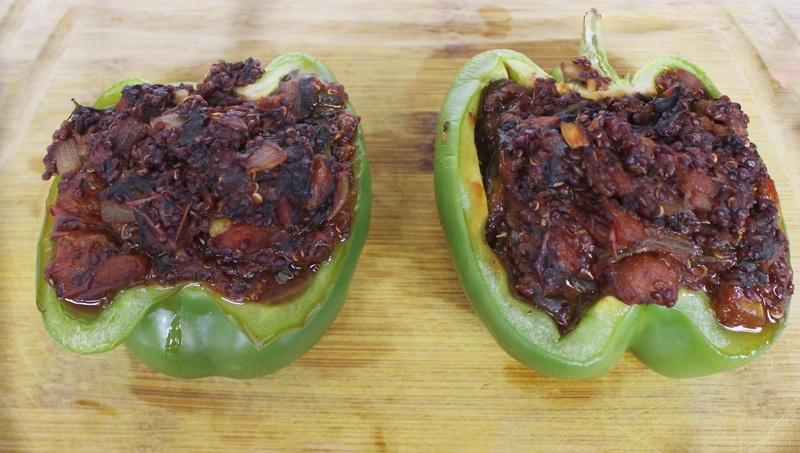 7) Place stuffed peppers on an oven safe sheet and bake on low heat until edges of the pepper are slightly browned. And you’re done! 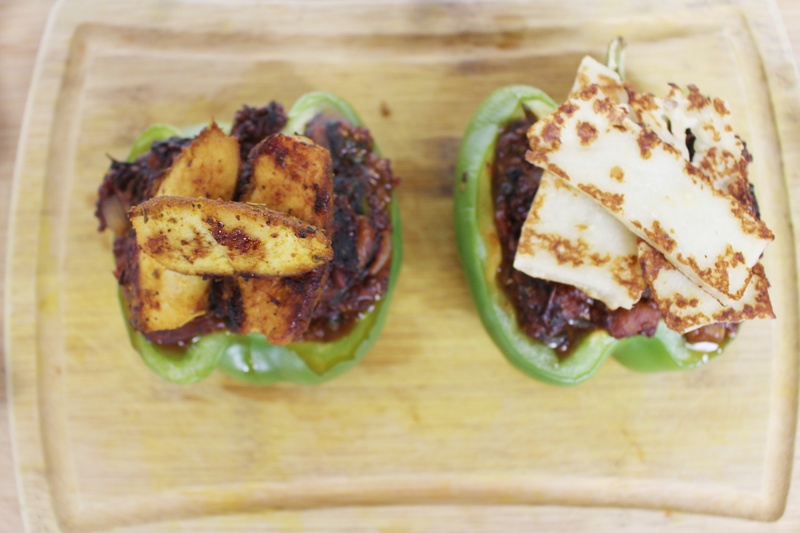 You can level this up by topping the stuffed peppers with anything of your choosing. I stopped one with sauteed haloumi and the other with sliced sauteed chicken breast. You can choose to eat this by slicing through the entire thing getting a bit of topping, stuffing and shell in each bite or deconstruct it eating each component separately. Any way you eat it, it’s delicious! The bell pepper is fresh and crunchy while the stuffing is succulent and wholesome. Try this one out and have an awesome day!